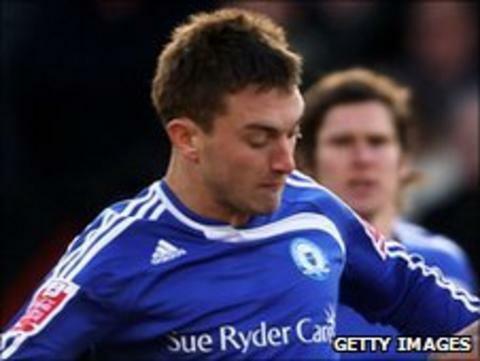 Peterborough United midfielder Lee Frecklington has been removed from the transfer list. The 25-year-old was one of nine players who was told he could leave the club earlier in the summer. Boss Darren Ferguson told the club website: "We had an honest chat and he said that he wanted to work hard and give it a real go." Meanwhile, fellow midfielder Tommy Rowe has indicated he is keen to sign a new contract with Posh. Club owner Darragh MacAnthony confirmed last month that he was looking to tie down the 22-year-old, whose current deal runs until 2012. Rowe told BBC Radio Cambridgeshire: "We're going to start talking shortly and I'm looking forward to signing. "Peterborough is where I want to be, so hopefully we can sort something out over the next month." Rowe joined the Posh from Stockport in the summer of 2009 following their promotion to the Championship. He proved a key player during last season's successful League One campaign, particularly following Darren Ferguson's return to the club. "It's always good when you have a manager who has a lot of faith in your ability," he said. "Hopefully I repaid that faith with my performances last season and I'm definitely aiming to be a success in the Championship." It took eight attempts for Posh to secure their first win of the season when they were last in the second tier and Rowe knows an opening day win against Crystal Palace would prove a real boost. "A win in the first game would be brilliant as it gives everyone confident, but it won't be all doom and gloom if we lose," he said.